It took over 95,600 NASA photo files taken from the International Space Station and a month of meticulous photo editing to produce this epic high-definition time-lapse video. The compilation work turned almost 110 Gigabytes of original material into some 40 minutes of raw footage in 4K resolution. Of those Dmitry Pisanko, a Russian photo blogger, selected four minutes of highlights. 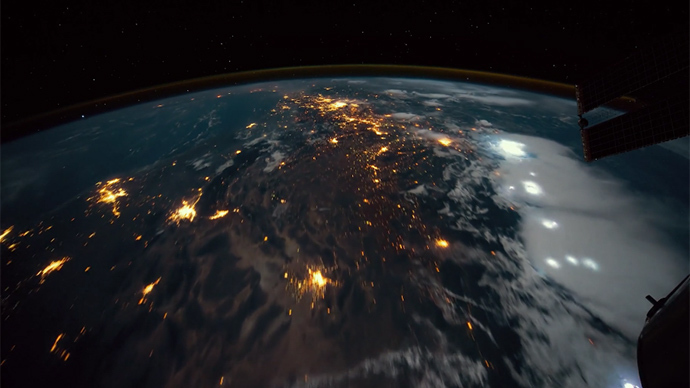 ISS Symphony - Timelapse of Earth from International Space Station from Timon on Vimeo. Providing a Space Odyssey 2001-like soundtrack to the visual symphony is music by Italian composer Ludovico Einaudi. According to Pisanko, it took him three months to find the perfect score.